We understand a conference or convention can have many moving parts. 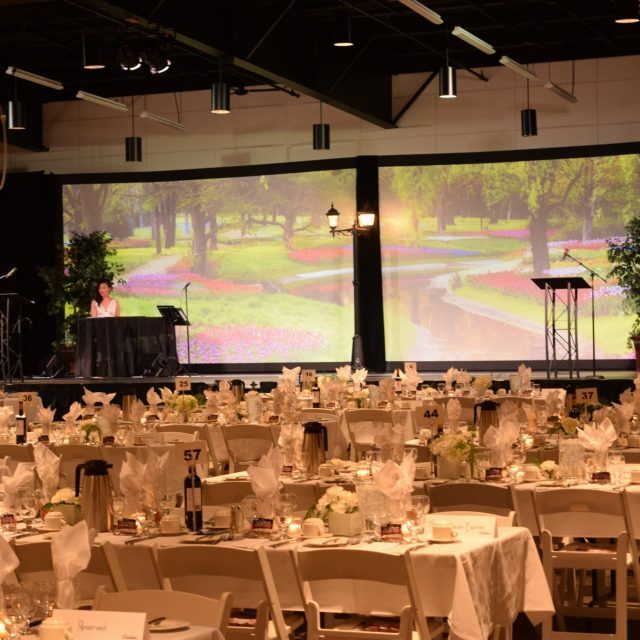 The staff at Prairieland Park is here to help and will work with you to ensure your event is something that delegates rave about! Located near the scenic South Saskatchewan River, in beautiful Saskatoon, SK, the WORLD TRADE CENTER Saskatoon at Prairieland Park is the city’s largest Trade and Convention Centre. Just minutes from downtown, with thousands of free parking spaces and 240,000 sq ft of highly transformational space, it is the type of venue where great things happen! The Trade and Convention Centre consists of six halls connected by a gorgeous common foyer with digital screens throughout used to guide guests through the facility. The versatility of the facility creates an optimum environment for both large and small conventions. With technical services, food and beverage, equipment and electrical services all in house – we provide everything needed for a successful event at your fingertips. Our dedicated event specialist from the Rentals Department would be happy to discuss all the details of your specific event needs.